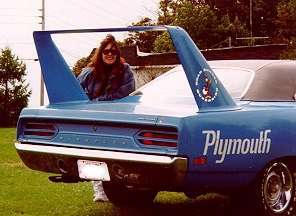 One of Mother MOPARs finest. 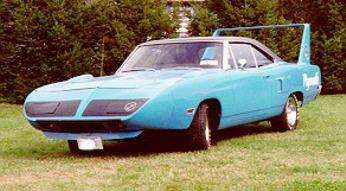 An all original 1970 Plymouth Superbird with 58,000 miles. “Petty Blue“, 440 C.I.D. 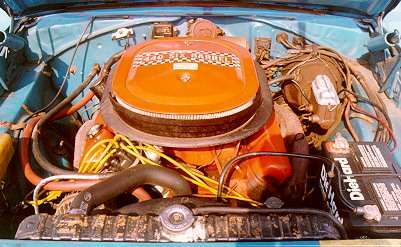 Six Barrel, Four Speed, Dana 60 rear. 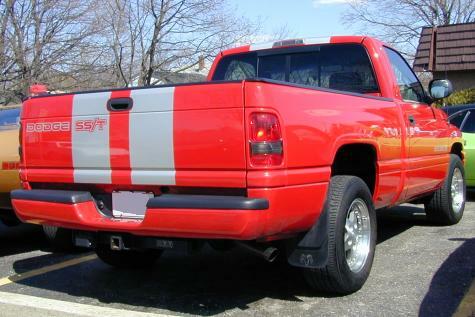 The proud owner, posing in the picture on the bottom is Sherrylynn F. of Long Island, New York. 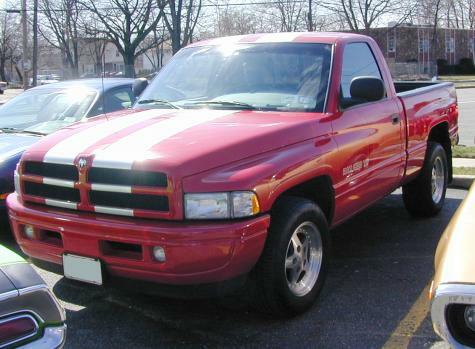 Shown below is Sherry’s most recent acquisition, a loaded 1998 Dodge Ram SST. 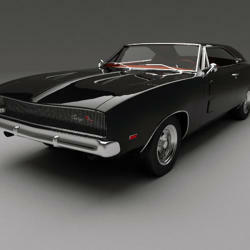 Shown above is Stuart S’s former 1966 Dodge Charger with 383 C.I.D. 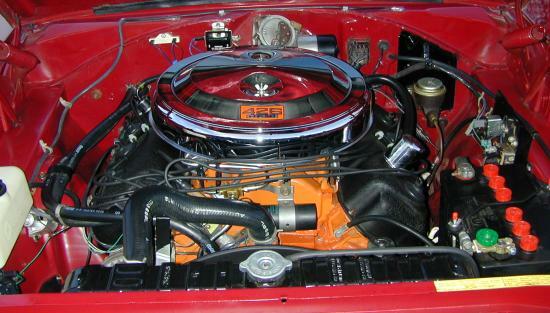 V8, four barrel carburetor and four speed manual transmission. It was an excellent example of a well restored first generation Charger which he’s since sold to purchase another 1966 Dodge Charger, this one a numbers matching HEMI car with automatic transmission. It’s got to be seen to be believed. The pictures don’t do this car justice. 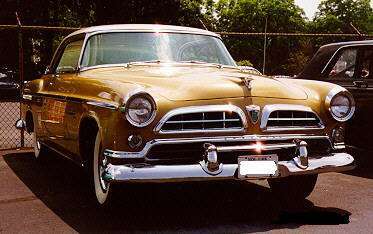 This is Barry’s 1955 Chrysler Windsor Deluxe Newport. 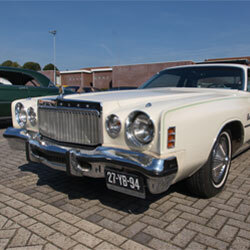 It’s one of 13,126 produced in ’55, and has a mere 48,000 original miles! 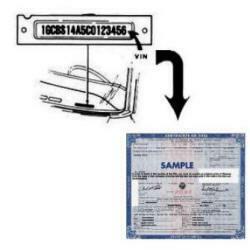 It’s equipped with the 301 C.I.D. 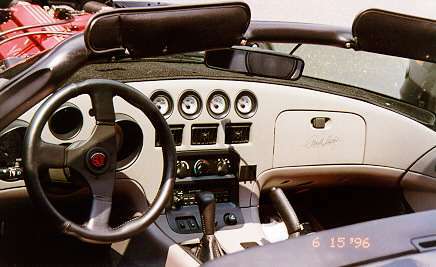 “Spitfire” V8, PowerFlite automatic transmission (with dashboard mounted shift lever), power steering and power brakes. A gorgeous car! 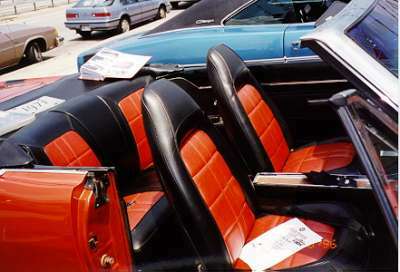 Above is Kenny S’s 1971 Dodge Dart GT Convertible. Yep, it’s one of none. 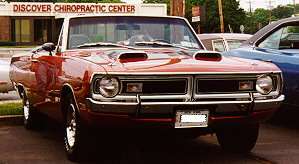 It was originally a ’69 Dart GT Convertible, which has been painstakingly converted to the 1971 body style (including the interior, shown below). 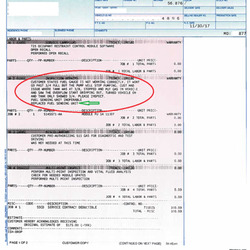 You’ve got to see it to believe the quality of the conversion! This is Kurt S’s 1969 Dodge Charger. It’s a nice 318 C.I.D. V8/Automatic transmission car. 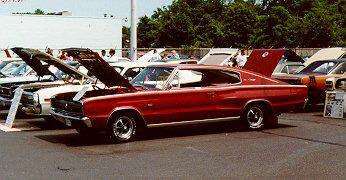 Kurt is Kenny’s brother (’71 Dart Convertible). No MOPAR site would be complete without pictures of a Dodge Viper, so here are my Viper pictures. 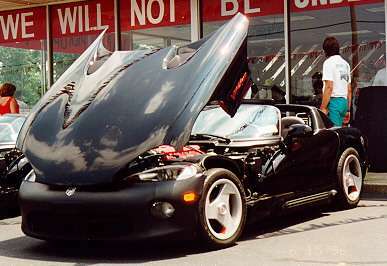 The featured car is Richard H’s 1994 Viper, documented to be the first black Viper to be delivered on the east coast (remember that they were available in red only for the first year). 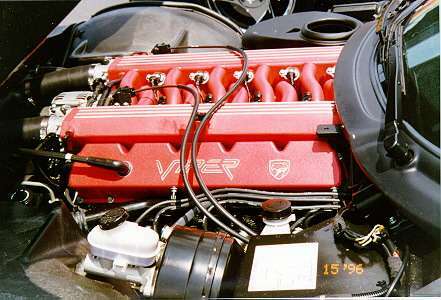 The heart of the beast, all 488 cubic inches, 10 cylinders and 400+ horsepower. A driver’s eye view. 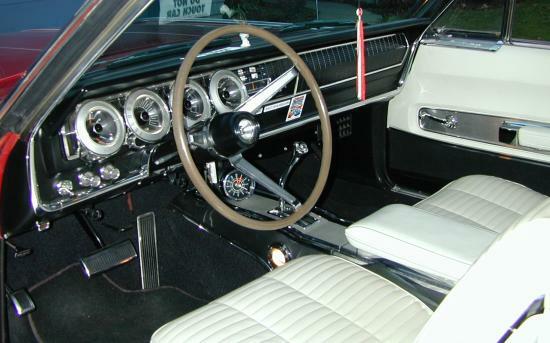 Note Carroll Shelby’s signature on the glove-box door.